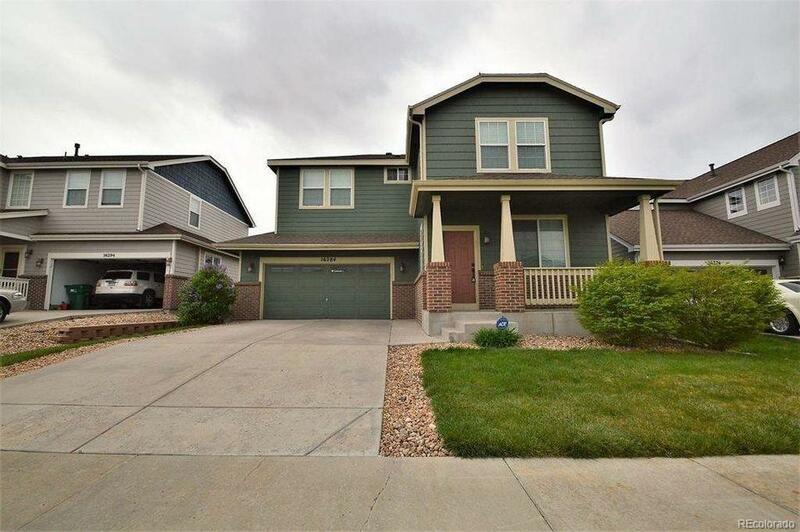 Value galore in this 2 story Buffalo Mesa home. Main level open floor plan, from front to back, is a popular desirable layout. Three bedroom plus a large loft upstairs means lots of room for everyone. Large backyard and six-foot fence make this a dream for pets. The community pool is a local favorite. Located close to DIA, E470, and bus line for convenience. Offered by Amy Ryan Group. © 2019 Information and Real Estate Services, LLC. IDX information is provided exclusively for consumers' personal, non-commercial use and may not be used for any purpose other than to identify prospective properties consumers may be interested in purchasing. Information is deemed reliable but is not guaranteed accurate by the MLS or 8z Real Estate. Data last updated: 2019-04-19T06:38:26.44.